Hello there. Welcome to Italian Dish Knits. My name is Elaine and I write a food blog, The Italian Dish, and sometimes I sneak in a little bit about my knitting over there but I always feel a little funny about it. I would like to talk about knitting more but I don’t want non-knitters over there to get turned off. 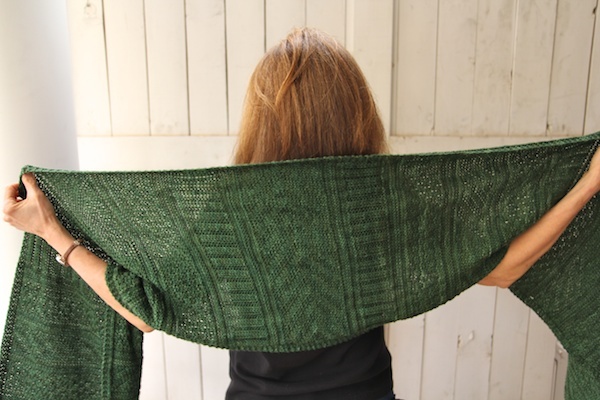 So presto – a knitting blog is born. Over here, I can yackety yak all I want to about knitting and yarn! I also love to sew and write a blog about sewing and quilting over at Beech Tree Lane Handmade. I started really knitting in 1988, when my oldest son was born. I wanted him to have cute little handmade things so I bought a book and taught myself. I knitted an awful lot of little sweaters and jackets for my sons over the years and lots of bigger sweaters for me. Now, I’m mostly into knitting Norwegian stranded mittens, scarves, hats and anything in the round using my favorite technique, Magic Loop (I hate to purl). My favorite place on the web is Ravelry. If I’m not knitting, I’m thinking about it. I live in Michigan, where there is ample calendar time to wear scarves and mittens. Yay! Love your site .I started learning to knit about 2 months ago ,dont know all the stitches yet but Im trying .I would love to make the fingerless gloves . Thank you for your site. I love your food blog, and just saw you have this blog as well. I was wondering if you sell any of the items you knit? I just found your site through a pin on Pinterest and am now a follower. Such lovely work you do! I have just been put on bed rest during the last trimester of my pregnancy and I figure it is the perfect time to finally learn to knit…something I have long wanted to do but have been unable to get away from the sewing machine long enough to do it! Anyway, this week I learned how to cast on, a simple knit stitch and how to cast off a wash cloth- super beginner stuff. I was wondering if you would have any recommendations as to what I should do next, what would be the stitch or technique that would be most helpful for a beginner. Do you have any recommendations for a good book I might order on Amazon? I don’t know anybody here in “real life” who knits. Thank you! Wonderful things! Looking forward to start following you. Just found your fabric backed blanket on Pinterest! Hello Elaine! I’ve been looking at your pattern for the grey granny square afghan/throw. How much grey yarn did you use? This would be perfect as the gift I’m making but I don’t want to risky buying too little yarn and not being able to match dye lots. Hey Robin: I’m sorry to say, but I did not keep track of how much yarn I used. No idea. Lots of people have asked me – I wish I had kept track! I have been popping on to your blog for a while to admire your mitts. 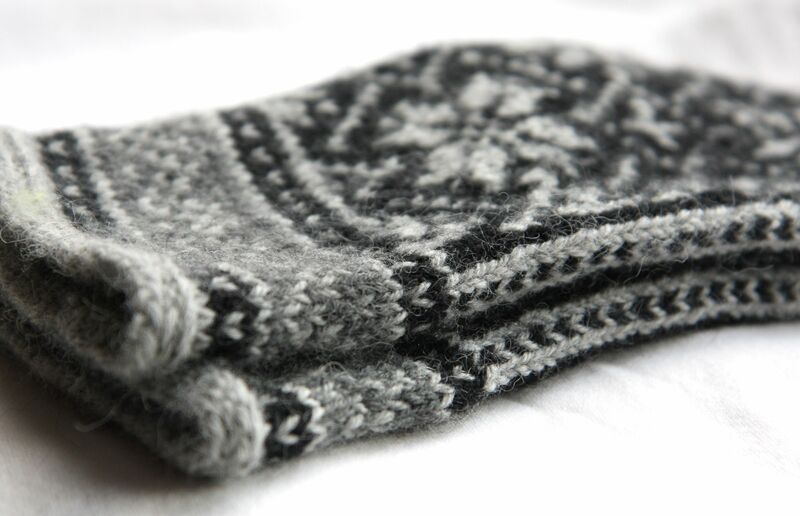 I have a question about how to make lined mittens… I have got some lovely fair isle mittens that I have knitted but would like to line them to neaten up the inside and make them that little bit warmer. I think the general idea if that you pick up some stitches along the inside, knit a whole new mitten, then turn the lining inside the original mitten right? I’ve seen your kidsilk haze lining and wondered whether you picked up the same number of stitches as originally cast on, or do you pick up more because the kidsilk haze is a much finer yarn? In short, how many am I supposed to pick up? K: Yes, that’s the idea – to pick up the stitches, knit a whole new mitten (that is slightly smaller than outer mitten) and then stuff it inside. As for how many stitches to pick up, that depends on the yarn you are using for your inner mitten. If it’s a worsted or DK, it won’t be as many stitches as say, a lace yarn. If you are not following a pattern, you just have to eyeball it. And account for the mitten getting a little larger after blocking, of course. If I’m not following a pattern, I just go around the inner wrist part and pick up not quite every stitch and then start knitting. I can increase or decrease from there if I need to. Hope this helps. Hey – thanks! That totally makes my day! Happy knitting. Hi Elaine, I’ve enjoyed your knitting and cooking blogs (and also the quilting one, even though I don’t quilt). You have a wonderful aesthetic and it’s a real pleasure to see how you put color and design together. I’m curious why you don’t show you face on your blog. ??? That’s funny! If you hop over to my food blog, I do have a photo of myself in the “About” section!